We offer Pre-Employment Training through the STEPS programme to people who are looking for work. This training aims to help people think about their future and to encourage them to change how they look at themselves. In 2014, Northside Partnership provided pre-employment training on the STEPS programme to 160 people. What is the STEPS programme? Course Description: To help people to motivate themselves when they do not have a job. What can I expect from taking part in the Pre-employment Training? If you want to take part in Pre-employment Training you need to register with our Local Employment Services at the details below. Once you are registered, we will assess which pre-employment training options are most suitable for you. How is this training funded? 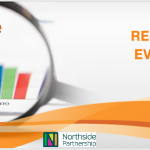 Northside Partnership’s Pre-Employment Training Courses are funded under the Social Inclusion and Community Activation Programme (SICAP) by the Department of Environment, Community and Local Government.